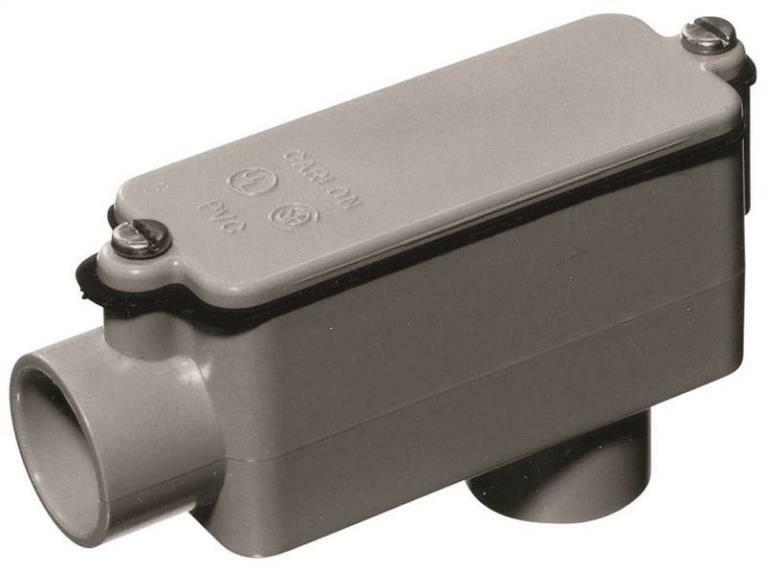 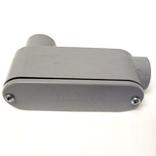 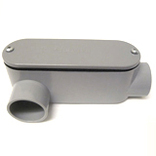 EMT TO BOX PULL ELBOW Without gasket Connect EMT conduit to metal box at 90 degree bend Zinc die cast Set-screw type Removable aluminum cover facilitates wire pulling Die cast locknut provided UL listed 14305 1/2 IN. 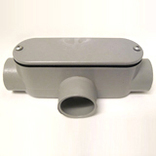 EMT TO BX PULL ELBOW SIZE:1/2"
ACCESS FITTING TYPE LB For non-metallic schedule 40/80 conduit Type: LB Use for a change of direction of the conduit run With the back hub usually exiting thru a wall Rectangular shaped conduit body Removable cover One entrance hub is in one end wall of fitting- the other hub is at opposite end in the back 5133664U 3/4 IN. 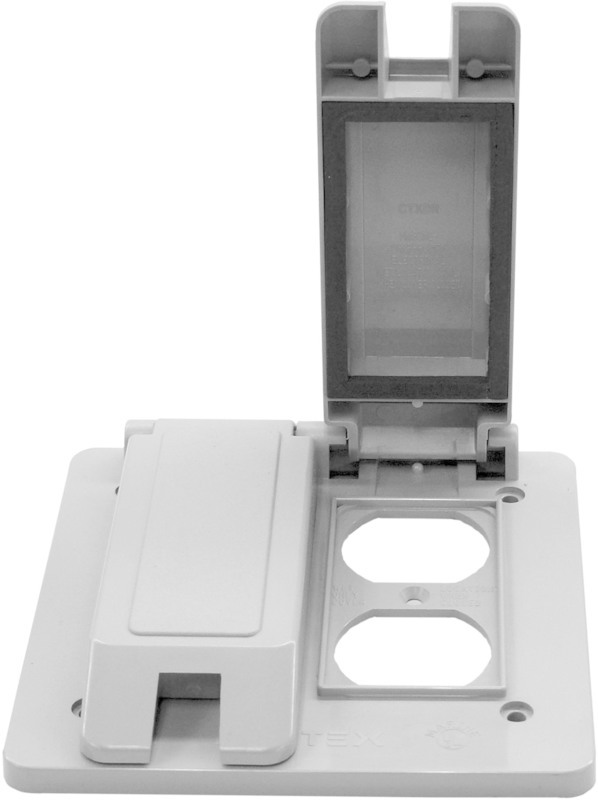 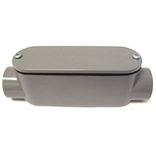 TYPE LB CON BODY SIZE:3/4"
90 DEGREE SCHEDULE 40 ELBOW Offers 90 deg. 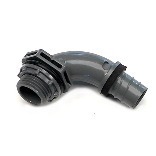 direction change in conduit run Use with Schedule 40 non-metallic fittings Both ends are spigot (plain) & solvent weld Will not rust or corrode Can be used above ground or buried and is- suitable for concrete encasement Conforms to NEMA TC-3 and UL 514 5133825U 1 IN. 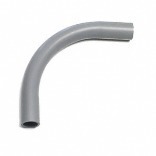 PVC 90 DEG ELBOW SIZE:1"
PVC Conduit Heating Blankets Up to 1-1/2" PVC Conduit Heating Blankets Up to 1-1/2"
PVC Conduit Heating Blankets Up to 1-1/2" - Our great PVC Heating Blankets make bending a breeze. 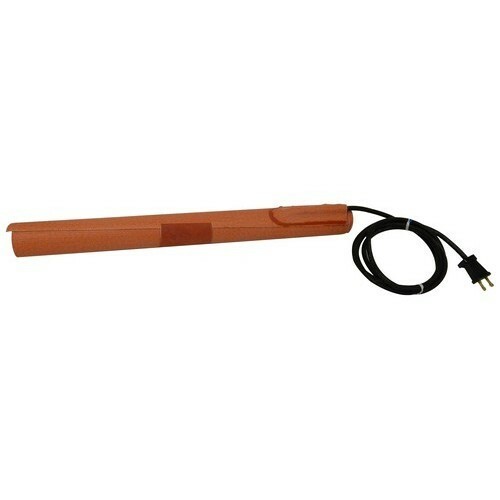 Easy to use: wrap blanket around PVC, secure with hook & loop strap. 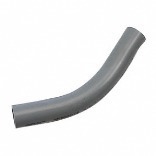 Built-in stiffeners keep blanket tight on the PVC surface. 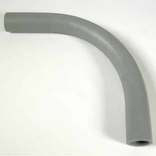 Remove blanket and form bend by hand. 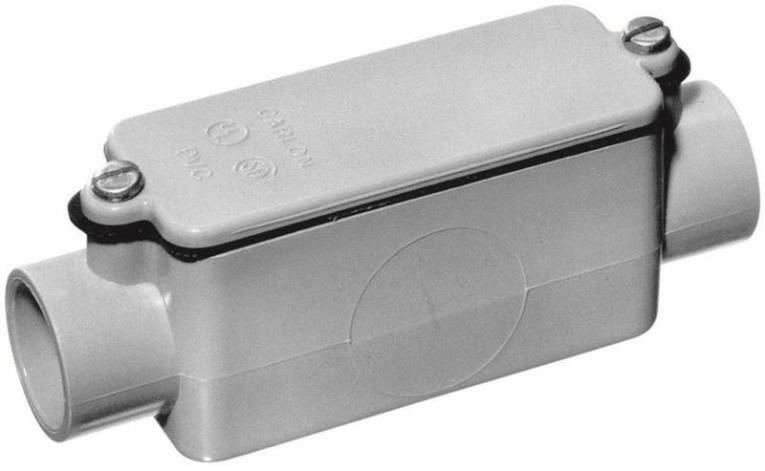 Wattage: 2 This item does not ship to APO/FPO addresses. 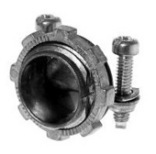 Nylon Cable Glands - NPT Thread - 90° 1-1/4" Nylon Cable Glands - NPT Thread - 90° 1-1/4"
Right Angle Nylon Cable Glands NPT Thread 1-1/4"- - These Right Angle Cable Glands are corrosion resistant. 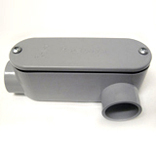 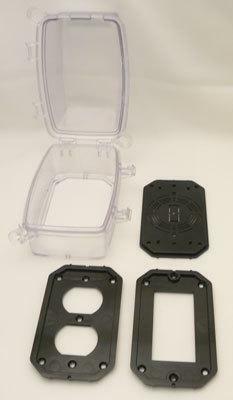 ‘Collet’ design of body accommodates various size cords, cables, tubing, etc. 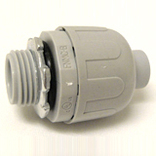 Below is more info on our Nylon Cable Glands - NPT Thread - 90° 1-1/4"
Malleable Rigid 3 Piece Couplings 2-1/2" Malleable Rigid 3 Piece Couplings 2-1/2"
Malleable Rigid 3-Piece Couplings 2-1/2" - Malleable Rigid 3-Piece Couplings are Used to Join 2 lengths of Threaded Conduit when Neither Can Be Rotated. 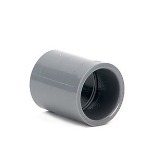 Below is more info on our Malleable Rigid 3-Piece Couplings 2-1/2"
SWIVEL LOK MULTI-POSITION CONNECTOR For type B conduit nonmetallic conduit Use in dry or wet locations Gray nonmetallic construction Includes neoprene O-ring and nylon gasket Twists from 0: to 90: Individually poly bagged UL listed and CSA approved 4733-8 3/4 IN. 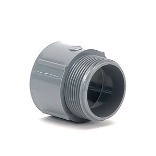 LQD TITE CONNECTOR SIZE:3/4"
ACCESS FITTING TYPE LB For non-metallic schedule 40/80 conduit Type: LB Use for a change of direction of the conduit run With the back hub usually exiting thru a wall Rectangular shaped conduit body Removable cover One entrance hub is in one end wall of fitting- the other hub is at opposite end in the back 5133665U 1 IN. 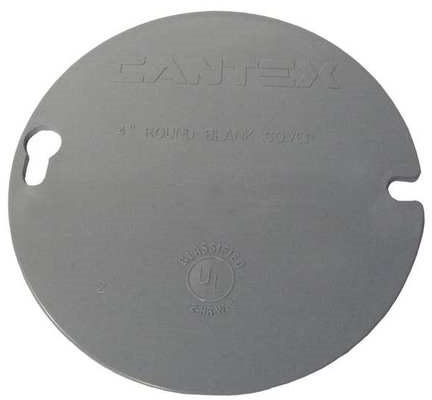 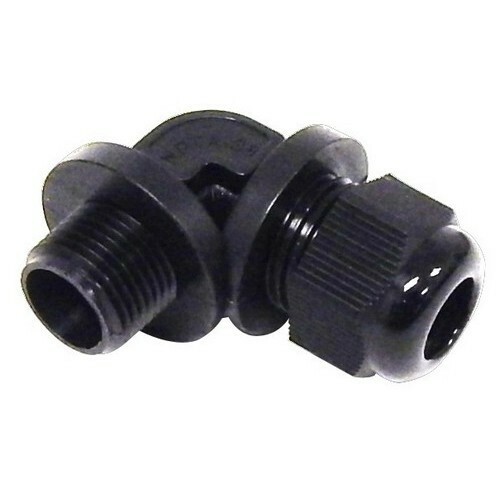 TYPE LB COND BODY SIZE:1"
PVC FEMALE ADAPTER Connector used to transition threaded metal- conduit to PVC conduit or join PVC to PVC Has two female ends, one threaded the - other is solvent weld Conforms to NEMA TC-3 and UL 514 5140044C 3/4 IN. 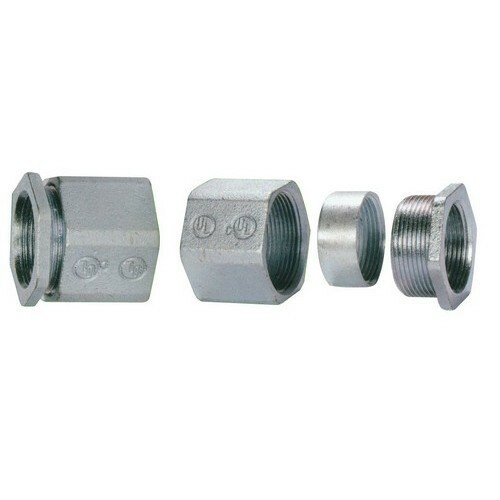 FEMALE ADAPTER SIZE:3/4"
PVC TERMINAL ADAPTER Adapting non-metallic conduits to boxes Threaded fittings Metallic systems Male threads on one end, socket on other 5140107C 1 1/2 IN. 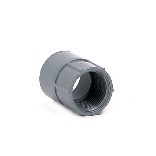 TERMNL ADAPTER SIZE:1-1/2"
90 DEGREE ONE-PIECE FITTING Liquidtight For non-metallic conduit 5441001C 1/2 IN. 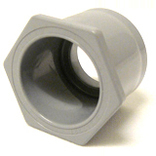 90 DEG CONNECTOR SIZE:1/2"